Released as part of the Crucial Blaze series, limited to four hundred hand-numbered copies. Comes in a plastic DVD-size library case with full sleeve art, a booklet with liner notes from Hal Hutchinson, and a set of six black and white photography prints. "There is enough variation in sound to keep things interesting, and it is noisy without being brickwalled, digitally distorted mud. It's not really ambient per se, but at a low volume it could suffice as relaxing background music. There are loops, but they are not overused, and Hutchinson wisely avoids rapid-changing cut-up noise techniques that rarely work out for stuff like this. Worthwhile junk-metal noise. 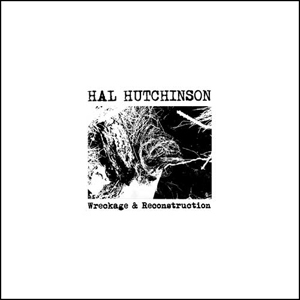 I'd be interested to see where Hutchinson goes next with his noise project."